Content is the driving force behind ranking and following. Putting up unique content on your website helps it to rank on search engine results pages. At the same time, it also helps create a following for your website. Content is the reason people go to your website. It is the reason why you would be able to sell your products or services. You may need the services of a content marketing strategist before you begin any content marketing. He will help you answer how to create a marketing strategy. He will also be able to map out how to make a marketing plan. However, if you do not have a content strategist, you can consider the following 5 examples to improve your content marketing strategy. You can create a survey to know what your readers want to learn from your website. You have to know what they want, what interests them. You can use your website’s analytics data to see where they are located, what sites they are coming from, and whether they use a social media or not. You cannot create a website content strategy without first understanding what will entice them to go to your website. Master Steps to Use Content Marketing For Businesses With Low Traffic. When you know your followers, you can target specific articles for each of them. You can create custom-tailored materials for your followers, to keep them interested in following you, your website, your social media accounts, as well as your products and services. 2. Create a customer avatar. When writing your blog or recording your podcast or video, you have to speak to one person. That one person is the embodiment of your target audience. It has to be about him. Whatever it is you are discussing should be for his benefit. You have to state why your product will help him, and to make it clear why it is the best solution for him. Bring it to its logical conclusion. It is a connect-the-dots thing. Make the reason personal for your customer avatar. When you create topics to write about, you should also create other media, like a banners and infographics. If you have a video channel, you can start with a 2-minute video, convert that to an audio format for a podcast, expand on it to come up with a blog article, and then create the infographics and memes. These get to be posted all over your various social media accounts. You start with one topic and end up with materials for multiple channels or media. Besides, your article will be more easily understood when you have a graphic to show for it. You have heard it said that more than half of users browse the internet with their cell phones. You should also realize that these users no longer only use their browsers; they most probably use apps to access specific websites. What you should also know is that the most popular new social media sites are mobile-only with no desktop presence, or they can only be updated via mobile. Start making your presence felt on these mobile sites. You should start by thinking mobile-first. Content is easier to expand for the desktop rather than shrink for the mobile screen. 5. Content on social media. It may seem redundant to keep on harping about social media, however, a social media content plan should be part of your overall content marketing strategy. Every content that you have has to be shared from your website, to social media channels. Every content on your social media channels have to be linked back to your website. When you share your content on social media, people will have a chance to see what you are saying. When your followers share your content to other people, this becomes a backlink to your website, an important factor for search engine algorithms. Your page rankings improve every time a follower shares your article or any other media. If you feel like you are not an expert in these strategies, it may be in your best interest to consult a professional. In much the same way when students need term paper help, they go to their adviser or teacher for an expert opinion. Do not beat yourself up if you do not know all these things. 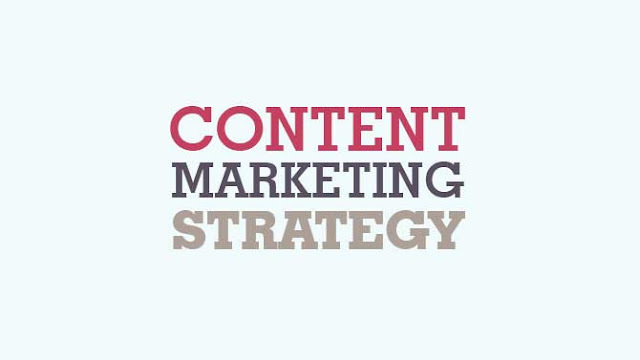 This is the reason why content marketing strategists are around.